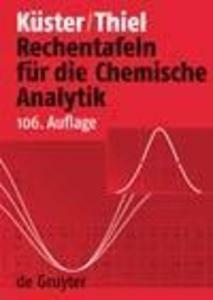 The basic calculating operations in analytical and physical chemistry are provided in this 106th edition. The book contains data and calculating examples for the analysis of quantitative chemical analyses, to determine the structure of organic compounds and to determine and calculate important physical and chemical magnitudes. Alfred Ruland , BASF AG, Ludwigshafen.